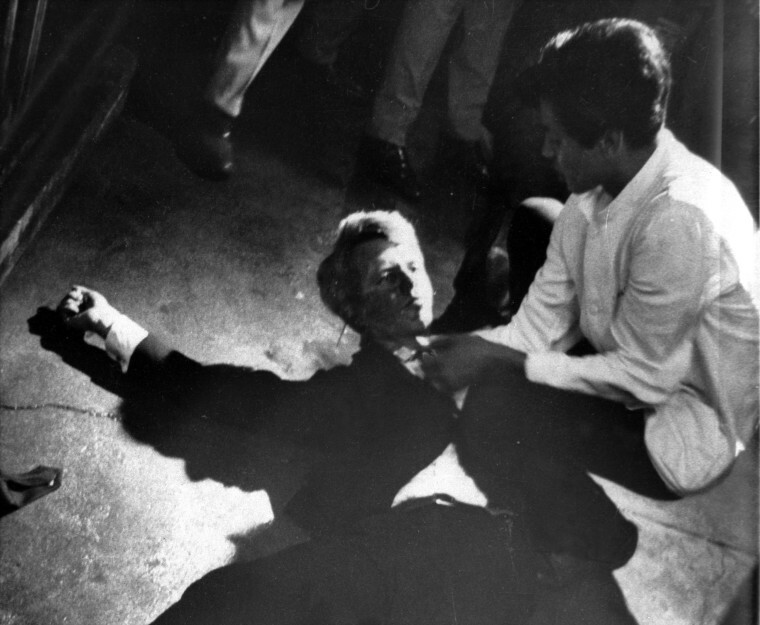 Shortly after he finished his California primary victory speech on June 5, 1968, Robert F. Kennedy was shot. He died the next day. 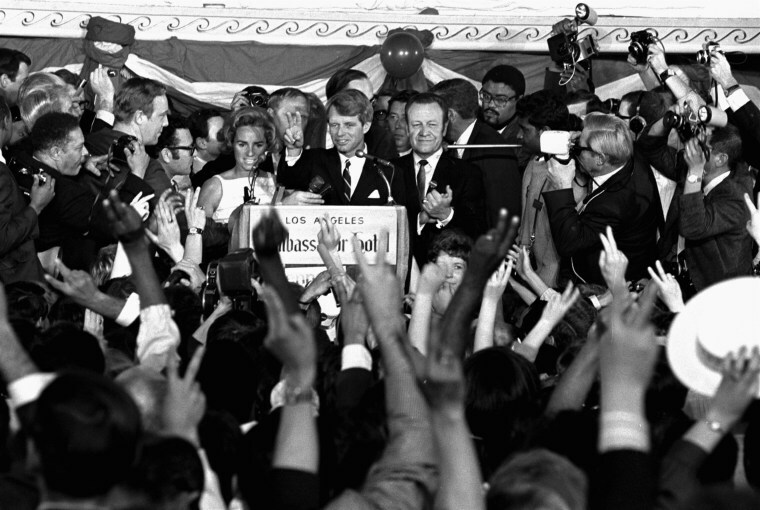 Sen. Robert F. Kennedy, 42, addresses campaign workers and supporters at the Ambassador Hotel in Los Angeles after winning the Democratic presidential primary in California. He is flanked by his wife, Ethel, and his California campaign manager, Jesse Unruh, who was speaker of the California Assembly. 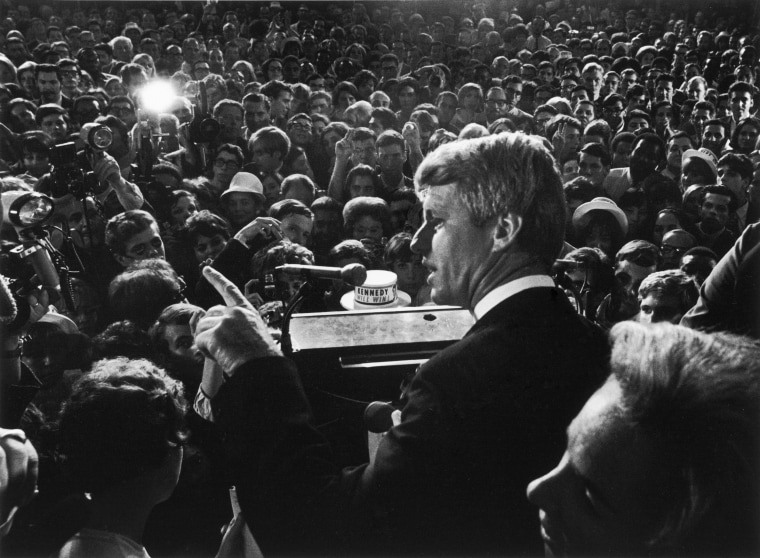 Kennedy, who represented New York in the Senate, delivered his victory speech in the hotel ballroom after winning the primary. 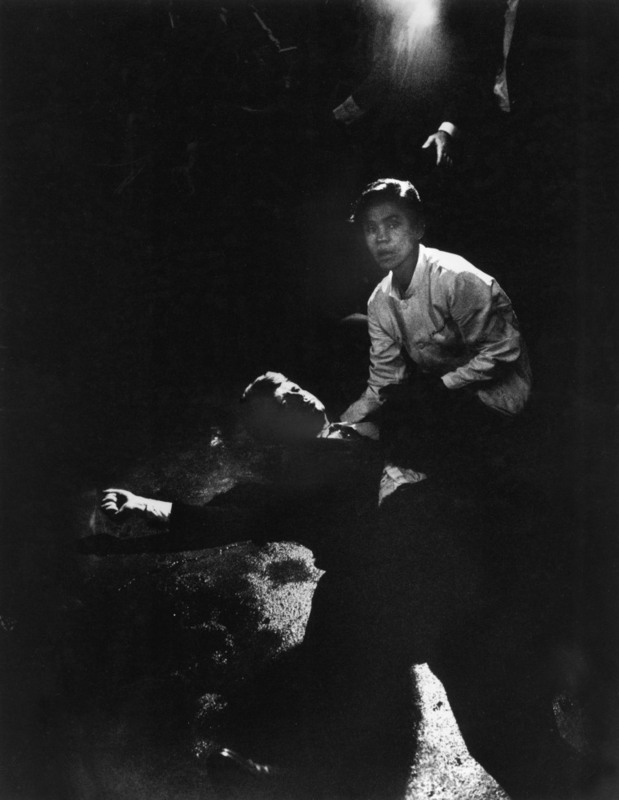 Minutes after his speech, Kennedy was shot as he made his way through the hotel kitchen. Juan Romero, a Mexican immigrant working at the hotel as a busboy, tried to comfort him. 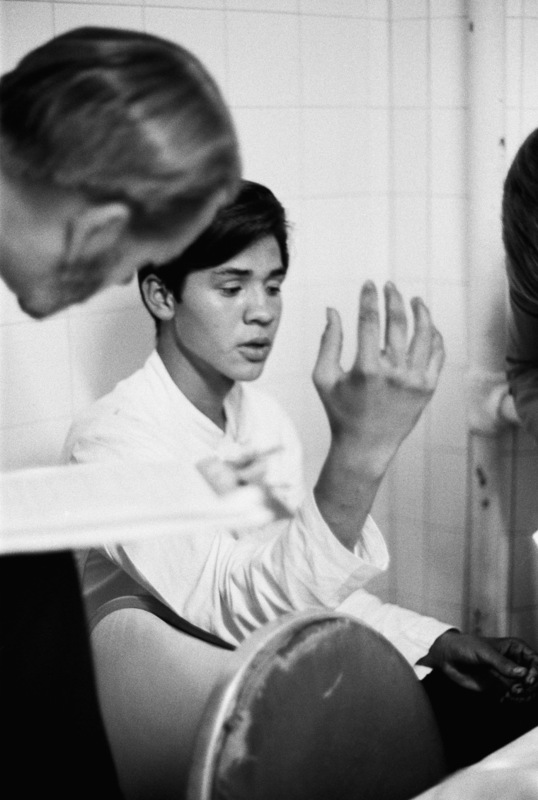 Romero, now 67, was waiting to shake Kennedy's hand when shots rang out. He then tried to keep the senator's bleeding head from touching the kitchen floor. Romero gives his statement to police. 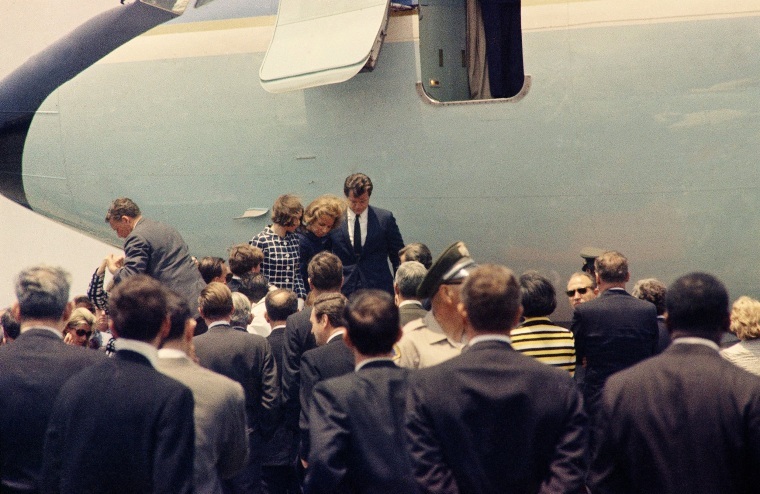 Kennedy's wife, Ethel, and brother, Sen. Edward M. Kennedy, D-Mass., at the airport in Los Angeles as they depart with Kennedy's body. 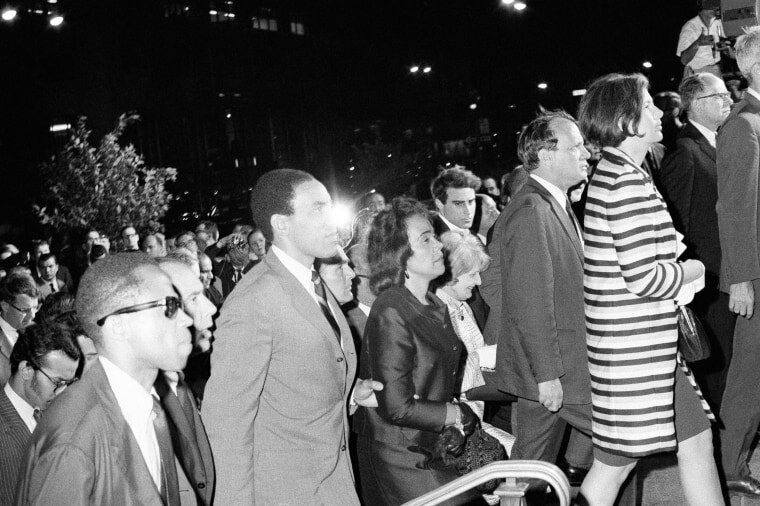 Mrs. Coretta Scott King, center, enters St. Patrick's Cathedral in New York for Kennedy's funeral. 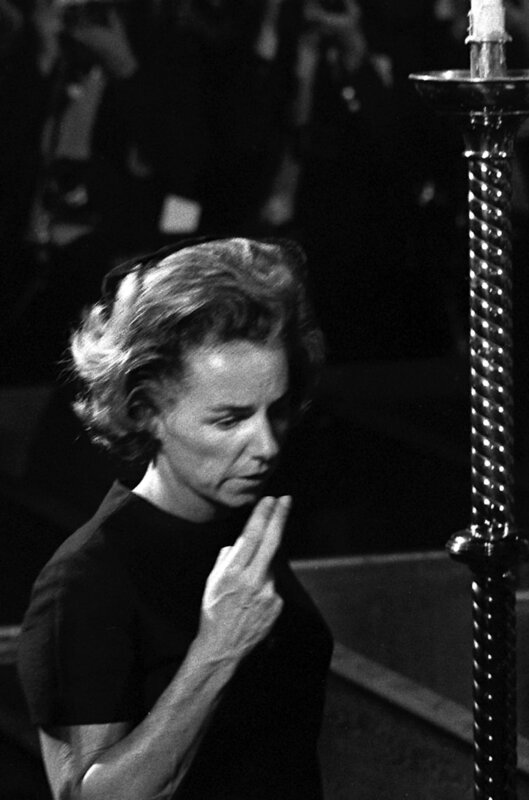 Kennedy's press secretary, Frank Mankiewicz, is in front of her. Both had been aboard the plane that flew his casket from Los Angeles. 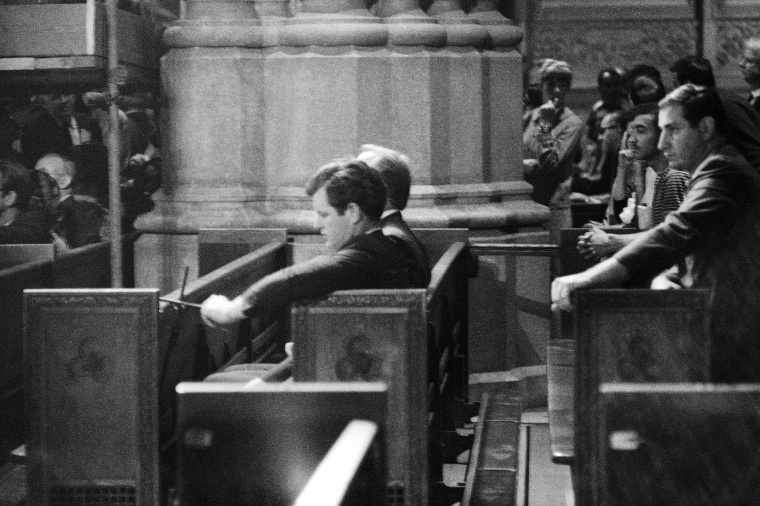 Sen. Edward M. Kennedy holds a cross while sitting in a pew during the wake at St. Patrick's Cathedral. 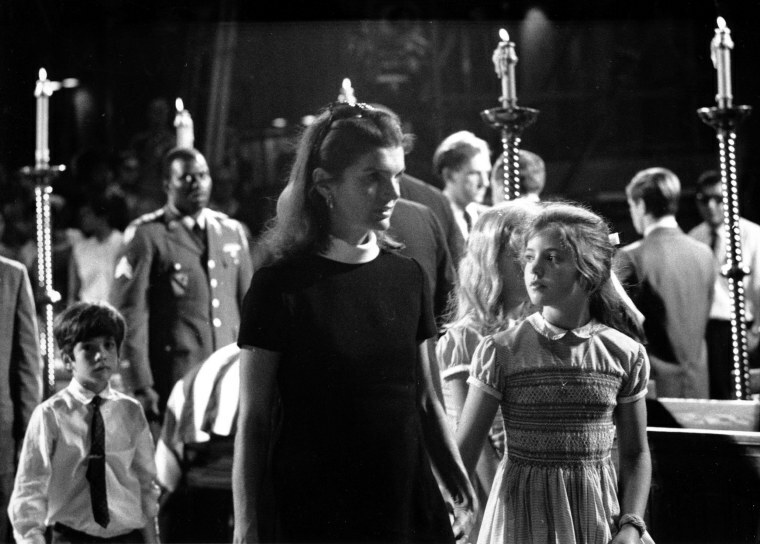 Former first lady Jacqueline Kennedy with her children, Caroline and John Jr.
Ethel Kennedy blows a kiss at her husband's casket. 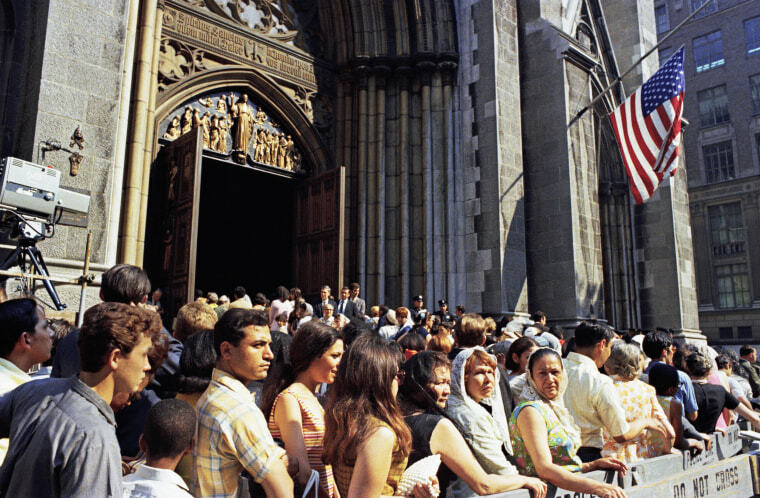 Mourners outside St. Patrick's Cathedral on the day of the funeral. 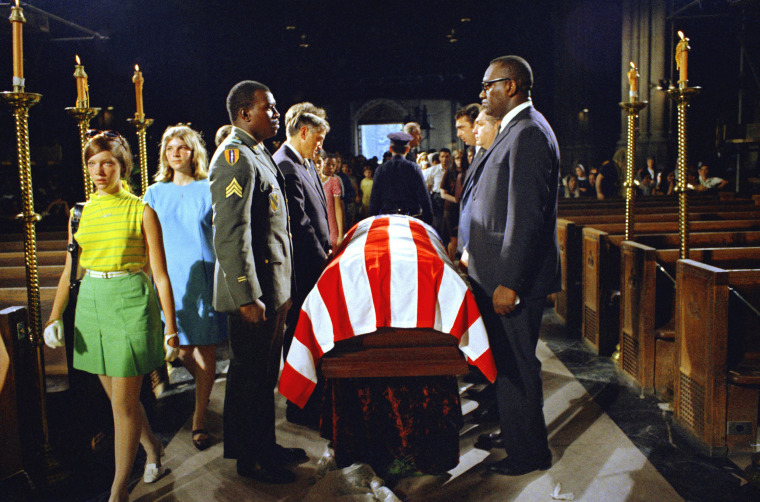 An honor guard stands over Kennedy's casket in St. Patrick's Cathedral. 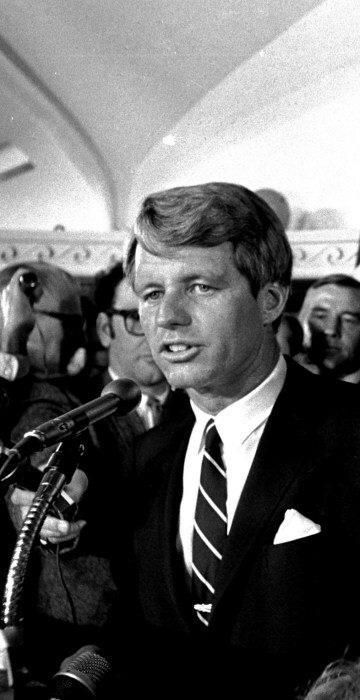 Quoting his brother, Sen. Edward M. Kennedy said in his eulogy: "Some men see things as they are, and say why? I dream things that never were, and say why not?" 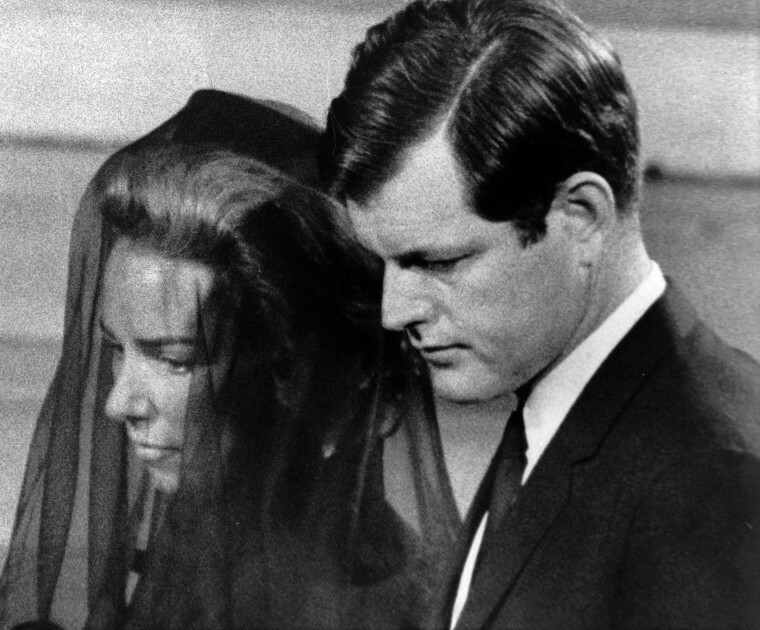 Sen. Edward M. Kennedy escorts his sister-in-law Ethel Kennedy during the funeral. 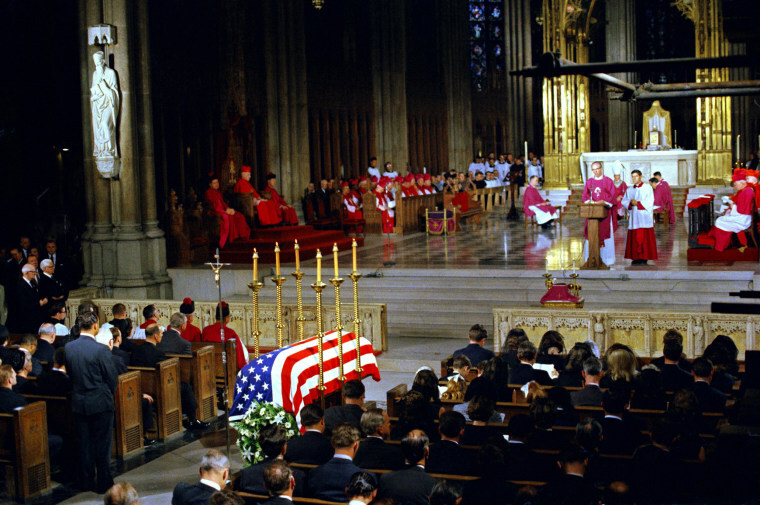 Mourners lined Fifth Avenue outside the cathedral to get a glimpse of Kennedy's casket. 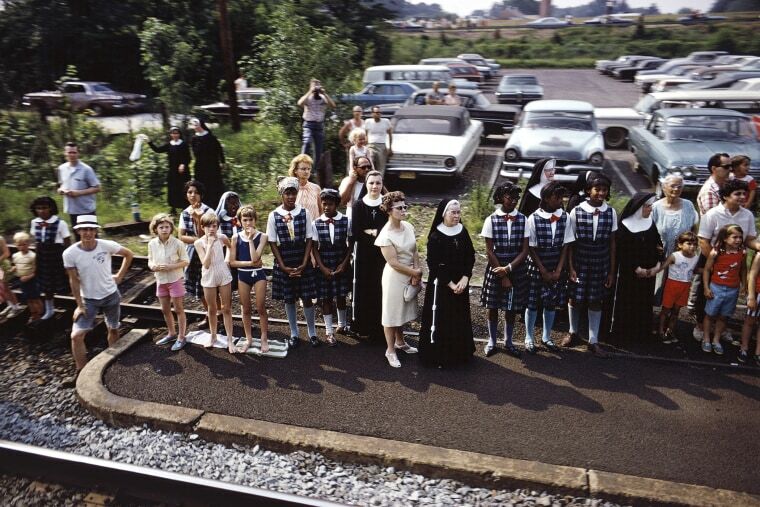 Mourners along the route of the train that took Kennedy's body from New York to Washington. 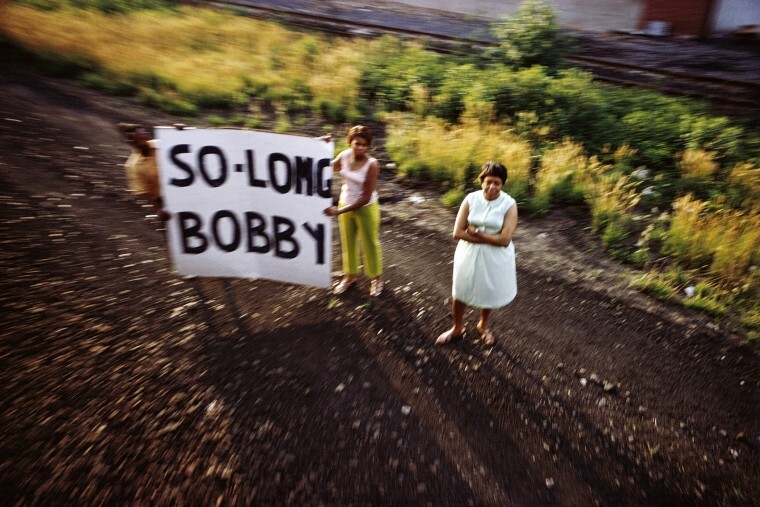 This photo is part of a show, "The Train: RFK's Last Journey," at the San Francisco Museum of Modern Art until June 10. Mourners line the train tracks to pay their final respects. 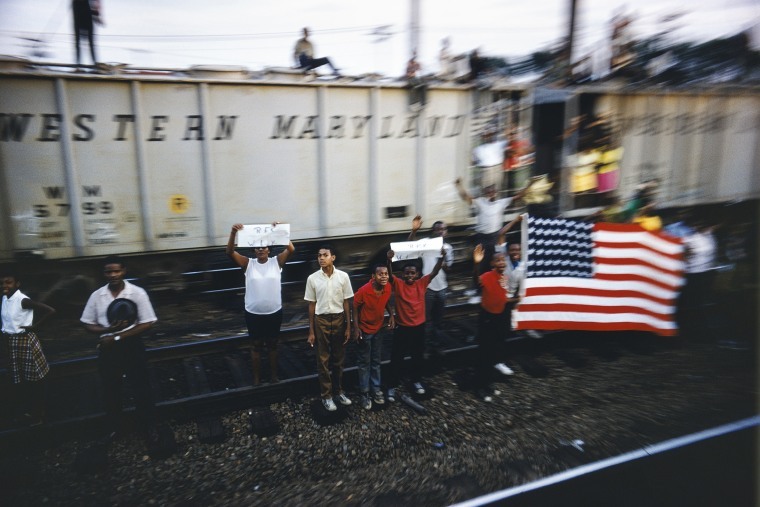 Taken from the funeral train, this image is part of "The Train: RFK's Last Journey" at the San Francisco Museum of Modern Art. 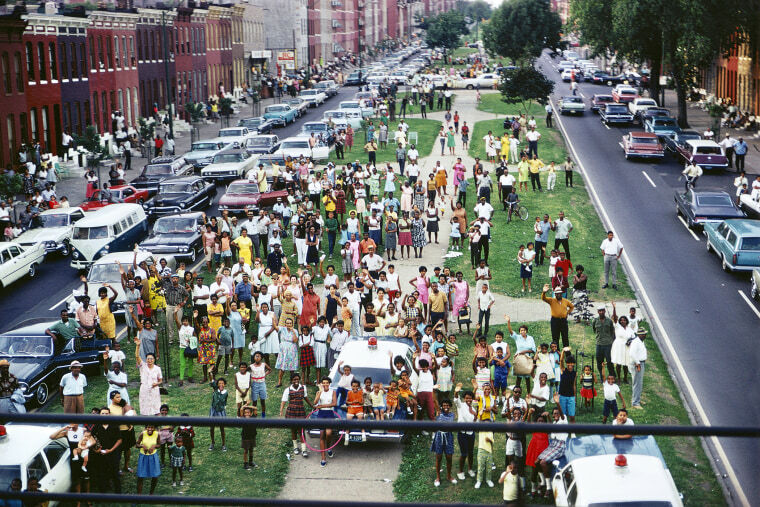 "There were people everywhere," recalls photographer Paul Fusco. "It was solemn and quiet. No yelling. I stood in the same spot on the train until it got dark and I photographed everything I saw on the track that day." An estimated 2 million people gathered along tracks and platforms to watch the train pass. 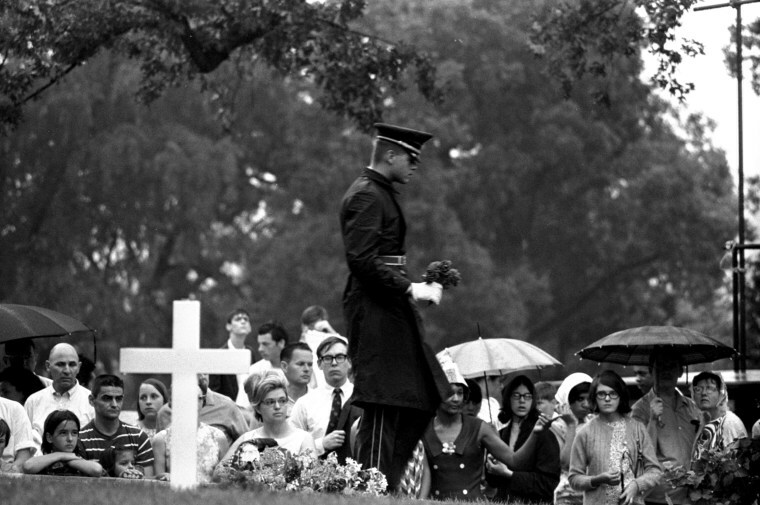 Ethel Kennedy at the burial service in Arlington National Cemetery in Virginia. 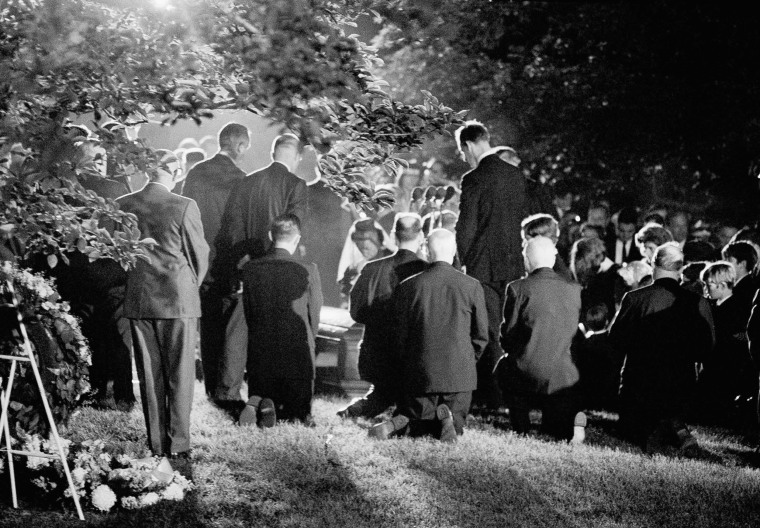 Kennedy's grave is marked by a plain white cross in Arlington National Cemetery. In the foreground, a guard carries a floral gift. 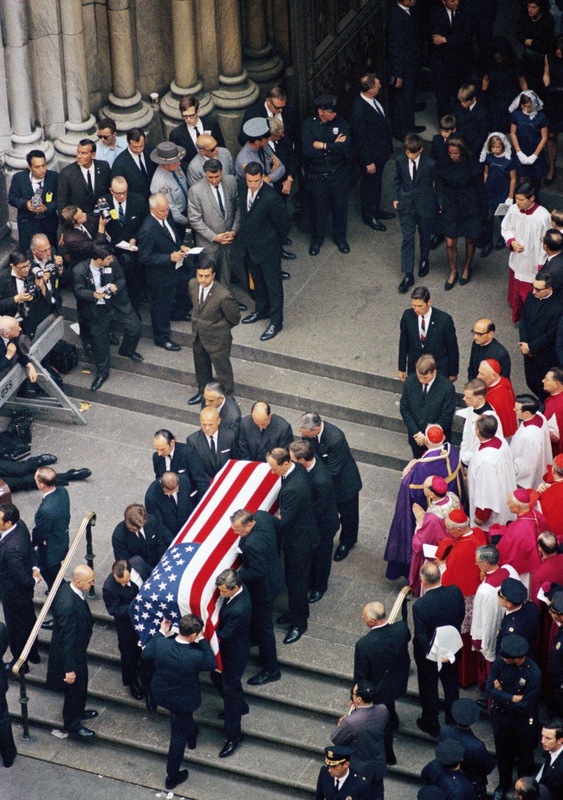 The senator's grave is near that of his brother President John F. Kennedy. 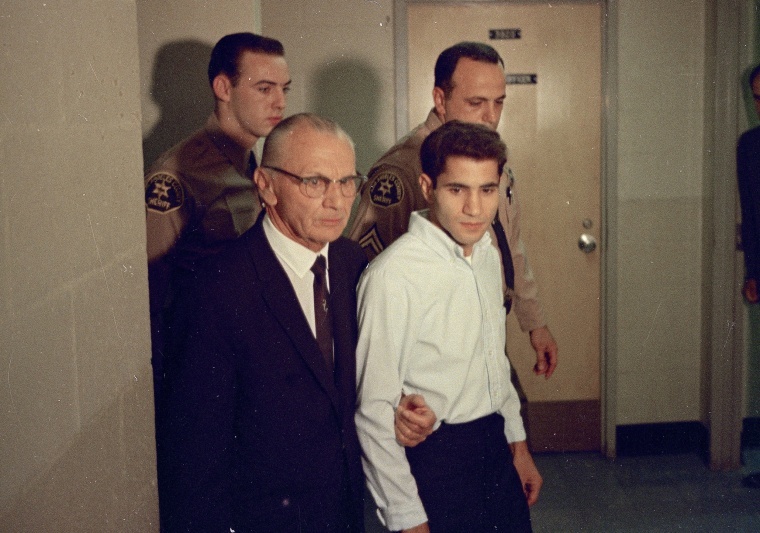 Sirhan Bishara Sirhan, Kennedy's assassin, with his attorney, Russell E. Parsons. Half a century later, two of Kennedy’s children are calling for a new investigation into their father's death.